If your girlfriends are anything like mine, they love pops of gold, copper, or anything with a pretty pop! 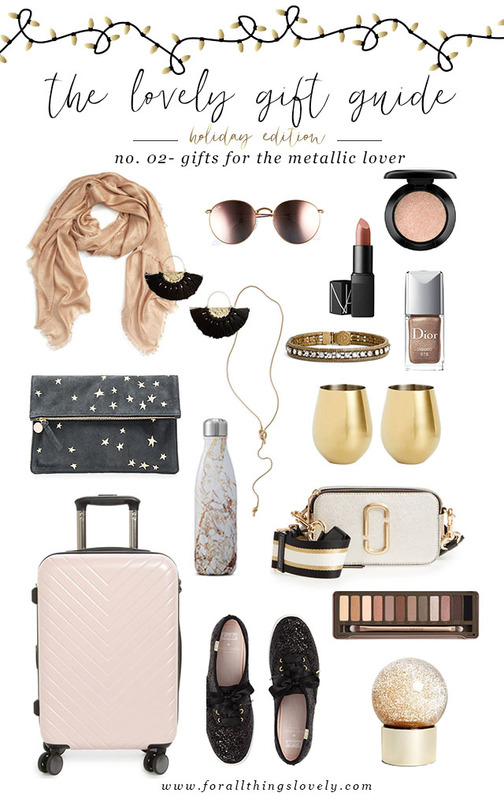 From beauty favorites and must-have accessories to travel favorites and home decor - this round up is sure to win over the metallic lover in your life! I hope you're all having a great week so far! Thank you all so much for your sweet comments and DM's about our little Lola. She was really sick for the last two days - sicker than I've ever seen her in 8 years. It was really scary and we were doing everything we knew for her. After yesterday's vet appointment, I'm hoping she's on the other side of it and seems to be feeling a bit better! All of your kindness and positive thoughts mean so much - you guys really are the best. Love you all! Thanks so much for stopping by x.